THEre is this notion that struggle is a necessary plight of choosing the arts as a profession. 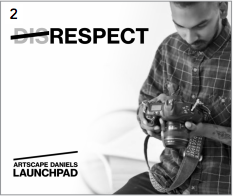 Artscape Daniel’s Launchpad is going to change that. It’s time for creativity to prosper. It’s time to show artists who they are and what this brand stands for.